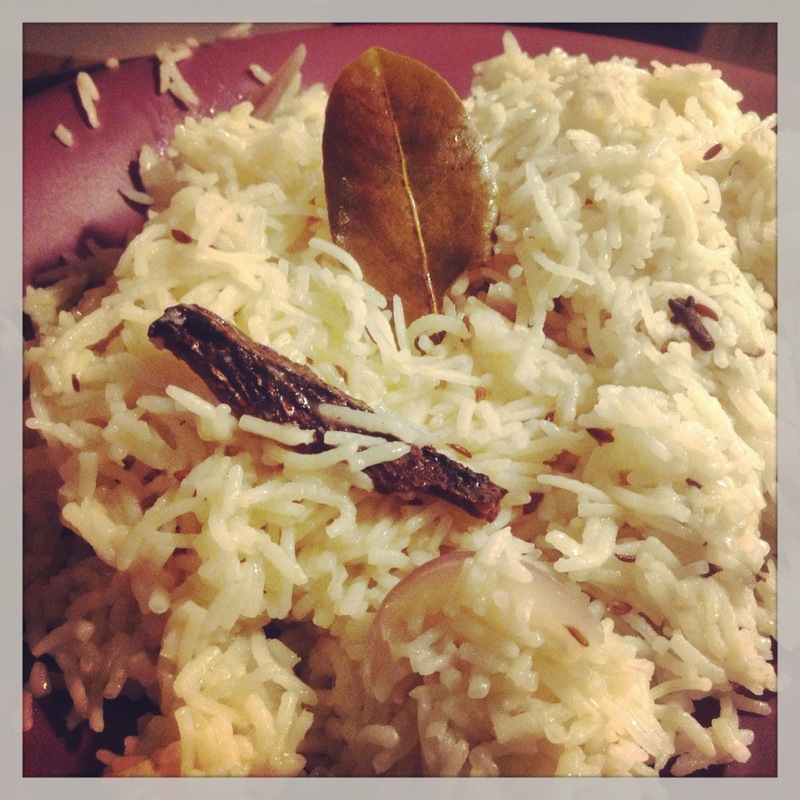 This spiced and flavourful rice can be an amazing companion for a lot of vegetarian and non-vegetarian curries, or can simply be served just like that with a variety of raita for a light dinner/lunch. I have made it many times and have served with Kaju Curry Korma, Punjabi Dal Fry and Malai Kofta for the vegetarian menus, and also with Dahi Masala Kadhai Chicken and Thai Chicken Curry for the non-vegetarian lunch/dinner with Boondi Raita, Garlic Raita etc. and it has always been a hit. Wash and soak the rice in water for about 30 minutes. Drain the water and keep aside. Heat oil in a deep-bottomed vessel (in which you cook rice) and temper the cumin seeds. Add onions and sauté till they are transparent. Add the cloves, cinnamon, peppercorns and bay leaves. Let them fry for about 2 minutes till they start releasing wonderful aroma. Add the drained rice to the pan and mix well. Let cook for about a minute. Add 2 cups of water to the pan and let cook on medium flame till all the water is absorbed. Remove from flame and serve hot.